From the world's largest aquarium to a diverse selection of museums, parks, family-friendly or free attractions and great places to stay, Atlanta, GA, is a destination where couples and families will never run out of things to see and do. 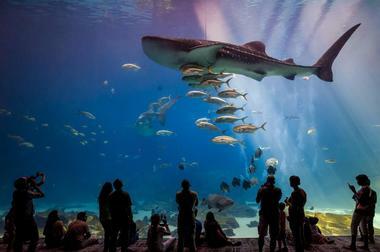 Attractions such as the Georgia Aquarium, the Atlanta History Center and Piedmont Park should not be missed. Our list of best things to do in Atlanta, GA also includes several tours and restaurants, including Italian, great lunch spots, 24 hour restaurants, burgers and seafood. The Georgia Aquarium is the world's largest aquarium and is home to more than 500 species from around the globe that live in more than 10 million gallons of fresh and marine water. Situated in downtown Atlanta near Centennial Olympic Park, this magical aquarium is a must-see. The aquarium is spread out across six large galleries, with more than 70 incredible habitats, ranging from fresh water river scenes and brightly colored coral reefs to penguin colonies and deep-sea tanks. Home to thousands of marine animals, including whale sharks, beluga whales, sea otters and exotic fish, the aquarium aims to support, preserve and educate visitors about the incredible biodiversity of the ocean system. The aquarium has live shows, such as a dolphin show which highlights the connection between animals and humans, and the 3D underwater show, which focuses on the importance of conservation and protection of marine animals. Special encounter programs allow visitors to get up close and personal with some of the animals, like dolphins, sea otters, and penguins and brave guests can dive with whale sharks and manta rays in the Ocean Voyager, the world's largest aquarium habitat. 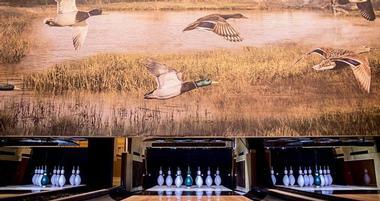 This world-famous Atlanta attraction is not to be missed. Located in the heart of historic Buckhead, the Atlanta History Center highlights Georgia’s rich history and heritage through award-winning exhibitions, living history programs, lectures and annual festivals. Spread across 33 acres of pristine land, the Atlanta History Center is home to the Atlanta History Museum (one of the largest history museums in the nation), Centennial Olympic Games Museum, Smith Family Farm, Swan House, the Kenan Research Center, and six historic gardens. Designed to honor and preserve the legacy of Gone with the Wind author, Margaret Mitchell, the Margaret Mitchell House is also part of the center, however is located off-site at the Midtown campus. The Atlanta History Center is open seven days a week, with free parking and easy access from the I-75, and offers comprehensive tour packages for groups. 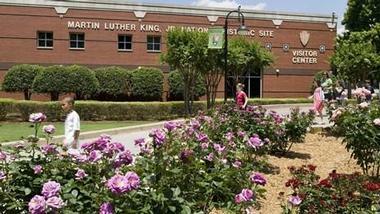 Established in 1980, the Martin Luther King Jr. National Historic Site celebrates and pays tribute to the famous civil rights leader. The park is home to several important buildings that played a role in his life. Visitors can take a guided tour through the park, following in the footsteps of one of America’s most famous men. Spread over 35 acres, the park consists of several buildings surrounding Martin Luther King’s boyhood home on Auburn Avenue in the historic district of Sweet Auburn. The Center for Puppetry Arts is an institution with the goal to educate, enlighten and entertain children and adults through the ancient art form of puppetry. Situated in the heart of the city’s arts district in Midtown, the center features live puppet performances, educational programs and one of the few puppet museums in the world. 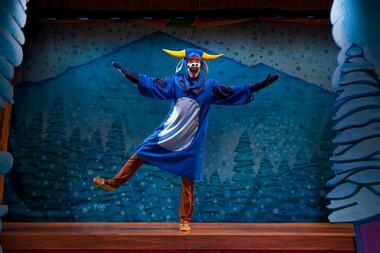 Puppet performances held at the center include the Family Series, a collection of adapted classic stories performed in a variety puppetry styles; the New Directions Series, which features teen and adult-oriented shows by local and visiting companies; and the Film Series, productions related to puppetry. The Center also offers a variety of classes and workshops for adults and children alike, such as ‘Create-A-Puppet’ workshops’, where children are taught how to build and make their own puppets. If you are looking for fun	things to do in Atlanta with kids, this is a great choice. The Center’s museum - Puppets: The Power of Wonder – is an interactive museum with an excellent collection of over 350 puppets from around the world. Located on Peachtree Street in the heart of downtown Atlanta, The Museum of Design Atlanta (MODA) uses a variety of exhibitions, programs and education to encourage the understanding and appreciation of design. Regular exhibitions cover all genres of design, including architecture, interior and furniture design, industrial and product design, graphics, and fashion, while a variety of interesting programs for adults and children are frequently presented, such as 3D-printing, coding with scratch for kids and bridge building challenges. If you are looking for unique date ideas in Atlanta, this is a great place to visit. The museum is open every day except Mondays, with a “pay-as-you-wish” admission fee on every second Sunday of the month. 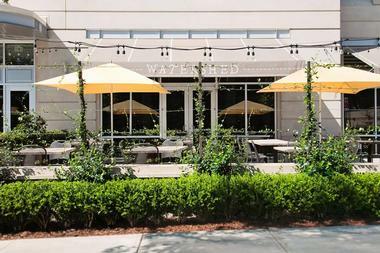 Watershed on Peachtree is located in the historic Brookwood Hills neighborhood and serves award-winning cuisine. Restaurant owners Emily Saliers (of the Grammy winning Indigo Girls) and Ross Jones designed a beautiful space that blends Southern tradition with contemporary style. The spacious and light restaurant interior extends out to an open-air patio. There is an elegant bar and a private dining room which is perfect for a special occasion. Valet parking is a nice touch. When you’re craving quality Japanese noodles in Atlanta, you go to Wagaya on the West Side. Don’t let its unassuming location next to Better Half on 14th street fool you. Wagaya is a cozy, pleasant Japanese eatery that serves superb noodles and excellent sushi. You can count on the students from nearby Georgia Tech to spot places with a good vibe and affordable, great food. There are three kinds of ramen noodles: white classic, spicy red, and black sesame. Every bowl of hot noodles comes with a fresh egg for you to throw in. 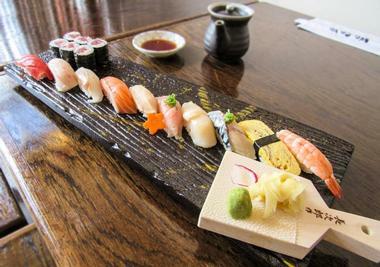 Sushi is another great option at Wagaya, whose name means “our home” in Japanese. One of the most popular is the Devil’s Breath roll with spicy tuna, jalapeno peppers, cucumber, and spicy aioli. They will torch it in front of you for full effect. Situated between Atlanta’s Midtown and Virginia-Highland neighborhoods, Piedmont Park is a 189-acre urban park that serves as a cultural and recreational green space for the city. Originally designed by Joseph Johnson and later by Central Park designer Frederick Law Olmsted, the park has served as an athletic center for baseball and football, playing host to Atlanta’s first professional baseball team and the Georgia versus Auburn football rivalry. Today, the park is a beautiful green space from which to escape the hustle and bustle of the city, with lovely picnic areas, children’s playgrounds, tennis courts and the Lake Clara Meer dock. The granite staircases and lush green landscapes of Magnolia Hall and Lawn, Greystone, Dockside and Promenade offer picturesque spaces for special occasions like weddings, parties and other events. The Michael C. Carlos Museum is an art museum located in the historic district on Emory University’s main campus and features one of the largest ancient art collections in the Southeast. Housed in a building designed by famous architect Michael Graves, the museum’s collection consists of over 16,000 ancient objects, sculptures and pieces of art from Greece, Rome, Egypt, Africa and the ancient Americas. In addition to the museum’s permanent and temporary exhibitions, the Museum also presents a variety of educational programs in the form of lectures, workshops, performances and symposia, and boasts a conservation center and teaching laboratory. Art Odyssey is an outreach program run by the museum with the aim of bringing art, archaeology and history to the children of Georgia. Situated in a stately home on Peachtree Street, the High Museum of Art is one of the leading art museums, housing an acclaimed collection of classic and contemporary art. The museum boasts more than 14,000 works of art in its permanent collection, including an extensive treasury of 19th- and 20th-century American and decorative art, a handpicked selection of African American art, and growing collections of European paintings, modern and contemporary art, folk art, photography, and African art. The museum offers special family programs and teen events, as well as guided tours, lectures, and late Friday night openings. The museum has two cafés that serve light meals and beverages, as well as a full service restaurant with a local farm-to-fork menu and an excellent wine list. Krog Street Market is a mixed-use 9-acre development in Atlanta, located in Inman Park and opened in the summer of 2014. At the heart of the complex is a 12,000-square-foot market that also includes about 300 apartments. The market was designed as an authentic 1920s warehouse with market stalls for produce and prepared food and an ever-growing number of restaurants. Krog Street Market has quickly become known as one of Atlanta’s best places to dine, with restaurants such as Suzy Sui’s, Makimono, and The Ticonderoga Club. You can get smoked catfish po’boy, vintage sodas, shawarmas, delicious ice cream, hand-made chocolates, and much more. There is live music at Superica, a pleasant gathering place at Lounge in The Living Room, and a number of retail shops both big and small. Fernbank Museum of Natural History is an interactive, hands-on museum that educates and inspires learning of natural history for all ages. Conveniently located near Emory University, east of Midtown, the museum features excellent hands-on exhibitions, programs and shows that focus on science, culture and history. Popular exhibitions at the museum include the permanent Dinosaur Plaza – a life-size display of these ancient giants; Fernbank NatureQuest – inspiring explorers, adventurers and scientists with the wonders of the natural world; and Giants of the Mesozoic – an up close look at the ancient giants of Patagonia. In addition to the permanent collection, the museum also features a number of temporary and special exhibitions throughout the year, IMAX shows, special programs and workshops for adults and children, and an active research program that focuses on Georgia archaeology. Nestled in the stylish Virginia-Highland neighborhood, Murphy's has been a favorite with locals for more than three decades. Artfully combining a cozy, welcoming ambiance with sublime cuisine and outstanding service, Murphy's offers one of the best dining spots in the district. Serving contemporary American comfort food using only the freshest local ingredients, the menu includes classic favorites such as shrimp and grits and braised beef brisket. The famous Murphy's brunch is not be missed, where you can feast on Crab Cake Benedict or Chilaquiles and for a delectable sweet treat, try the Bonzo Cake or Tollhouse Pie. Murphy's also has a bakery and wine shop. Stop by for weekly themed wine tastings and exclusive wine dinners with renowned winemakers. Founded in 1997 by Freddy Bensch and Kevin McNerny, SweetWater Brewing Company is a craft brewery that produces a range of unpasteurized craft beer, including year-round brews and a Dank Tank series. Tours and tastings are held at the brewery on Wed – Fri, 5:30 – 7:30 pm, and Sat/Sun, 2:30 – 4:30 pm, where a master crafter will explain the process of beer making as you move through the brewery, tasting samples along the way. Tours last about 20 minutes and are free. A souvenir pint glass with six tasting tickets can be bought for $10. Some of the SweetWater brews that can be tasted on the tour include 420, Georgia Brown, Hop Hash, and the current seasonal brew. 15.What to Do in Atlanta: The Peach Tree Trolley Co.
See the best of Atlanta on a traditional Peachtree Trolley Tour, which takes you to all the major attractions and city sights. Leaving from the Hilton Garden Inn at Centennial Olympic Park, the tour takes around 90 minutes and is fully narrated, explaining the history, stories and legends of all the major tourist spots. 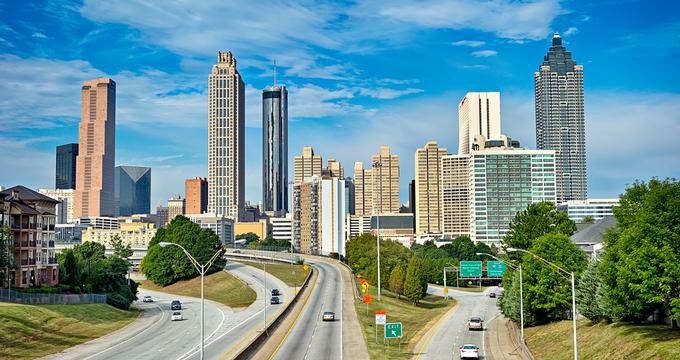 Visit the world-renowned Georgia Aquarium, the World of Coca-Cola, the Oakland Cemetery, and The Fabulous Fox Theater, amongst others. Trolleys are fully climate-controlled with heat and air. They are traditionally designed to take you on a journey back in time to the early 20th Century, with enclosed sides, park bench seating, and a clanging bell. Tours run every day except Mondays and tickets can be purchased online or on board. The Decatur Ghost Tour is a year-round walking tour that takes place in the historic district of downtown Decatur and aims to introduce visitors to Decatur’s spirit community. Beginning in the heart of Downtown Decatur's Historic Town Square, the tour explores the quaint shops and restaurants around the square, which are famed for housing ghosts and spirits, before visiting one of the oldest homes in the city, which is said to be haunted. Wander through quiet streets and visit the old train depot where the ghost of the stationmaster is said to still float around. Finally, explore the Old Decatur Cemetery at twilight, which is bound to take your breath away. The tour lasts for two hours and follows an easy one-mile walk on paved sidewalks. Home to more than 1,500 animals from around the globe, Zoo Atlanta’s claim to fame is being the only zoo in the United States to have Giant Panda twins. Born in July 2013, twins Mei Lun and Mei Huan have been the stars of the show; however, the zoo has a wealth of excellent exhibitions, habitats and educational programs to explore. 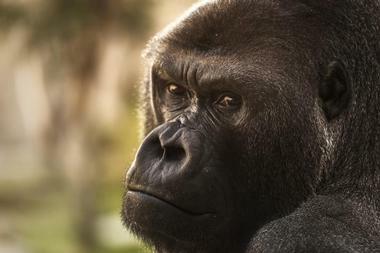 The zoo’s Asian Forest is home to the world’s largest collection of orangutans, while the Ford African Rain Forest houses more than 20 gorillas. 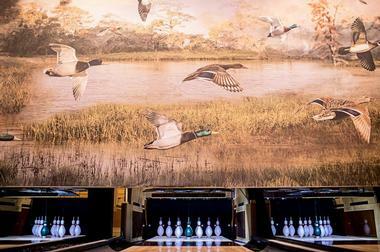 If you have kids who love animals, this Atlanta attraction is not to be missed. Watch interactive wildlife shows, talks by animal keepers, and training demonstrations; go behind the scenes and feed an African elephant, giraffe or a giant panda; feed parakeets by hand or head to the petting zoo for face-to-face animal interaction. Twice a year, in spring and fall, Atlanta residents flock to their beloved historic Olmsted Linear Park to enjoy the Festival on Ponce, Atlanta’s popular annual arts and crafts festival. The festival is an opportunity for locals and visitors to stroll through the beautiful landscapes designed by one of America’s best known landscape architects, Fredrick Olmsted Sr. 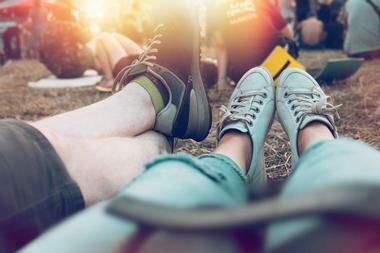 The green fields, groves of mature trees, and blooming flower beds are dotted by more than 125 displays of arts and crafts, food trucks and stalls, kids’ play areas, non-profits’ information booths, music performers, and thousands of folks having a great time outdoors in the heart of the city. 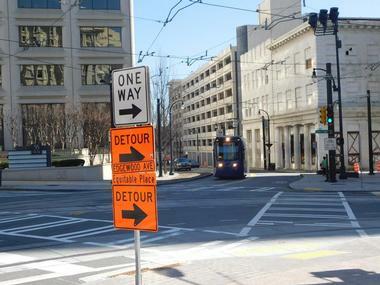 If you are a movie buff, there is no better way of exploring Atlanta than by letting Atlanta Movie Tours show you around the city on a tour of movie and TV filming locations. In the comfort of a luxury coach, you will be guided by a real, working actor, who has inside knowledge of movie sets and is an excellent source of inside stories and anecdotes. Atlanta Movie Tours will take you to the locations of famous movies and tv shows such as Driving Miss Daisy, The Hunger Games: Catching Fire, The Vampire Diaries and many others. There are four tours on Saturday and Sunday both starting from the Atlanta Movie Tours location in the Castleberry Hill neighborhood. The Children’s Museum of Atlanta, fondly known as ‘Imagine It!’ is a museum designed specifically for children with the aim of inspiring them to explore, learn and question through creative play. Located in the Centennial Park area of downtown Atlanta, the museum is the only children's museum in Atlanta and features four permanent hands-on interactive learning zones and various exhibits throughout the year. Exhibitions include ‘Cooking with Colors’, ‘Eat a Georgia Rainbow’, and ‘Discover Maths and Science’. The museum also offers summer camps, field trips, workshops, programs and live performances by the ‘Imaginators’, a professional troupe of actor-educators. 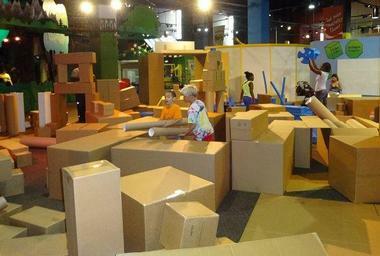 A child-specific toy store boasts a range of educational toys for children of all ages and the museum offers unique spaces for private events, such as birthday parties. Explore the fascinating story of Coca Cola, the world’s most famous beverage and brand at this dynamic, multimedia museum at Pemberton Place. Name after the pharmacist who created Coca-Cola in 1886, Pemberton Place covers 20 acres of green urban space in the heart of Atlanta. The museum has a range of exciting and interactive exhibits to explore. 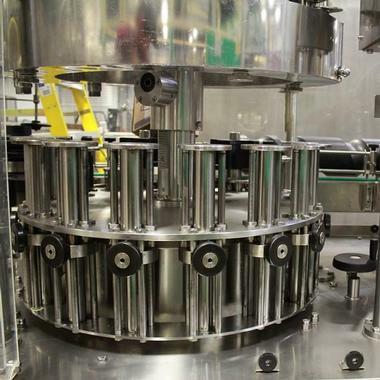 Wander through the Bottle Works and watch the fully functioning bottling line at work, filling and bottling the world’s favorite beverage. Visit the vault where the legendary secret formula for Coca Cola is kept and take in a thrilling 4-D theater show about the brand. See the world’s largest collection of Coca Cola memorabilia in the Milestones of Refreshment exhibit, and taste beverages from around the world in the ‘Taste It!’ lounge. Dating back to 1928, the historic Fox Theatre is one of Atlanta’s oldest and much loved venues for live entertainment. 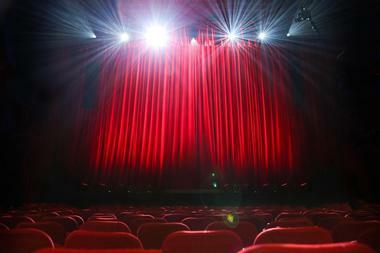 Situated on Peachtree Street in the heart of the city, the 4,600-seat theater presents more than 300 theatrical performances a year, ranging from Broadway classics and live comedy shows to glamorous movie premieres. The breathtaking grandeur of the ‘Fabulous Fox’, as it is now fondly known, has earned its place on the National Historic Register, drawing crowds from afar to not only admire its architectural charm and beauty, but to also take in one of the headlining shows that the theater features. In addition to hosting award-winning performances and shows, including the world premiere of The Phantom of the Opera, the theater’s elegant lounges, beautiful outdoor patios and exquisite ballrooms are in high demand for celebratory occasions and special events. Well known for her gourmet Southern classics and delicious home-style cooking, Chef Ria Pell, owner of Ria’s Bluebird has gained nothing less than a cult status over her mouthwatering fare. Melt-in-your-mouth biscuits soaked in thick, spicy milk gravy, moist buttermilk pancakes, and innovative sandwiches are just some of the delights on the menu, which have both locals and visitors flocking from all over to try. With floors made of wooden wall paneling, the bright and airy restaurant has an old barroom feel, making it cozy and comfortable. While the menu has an array of culinary delights to try, people come for the pancakes. Piled high and stacked with toasted pecan nuts or caramelized bananas, there is no better way to start the day. Other treats on the menu include eggs Benedict, an unrivaled chicken salad croissant and sweet homemade jam. The restaurant is situated right opposite the Oakland Cemetery, Atlanta’s oldest and loveliest cemetery, where thousands of unidentified Confederate soldiers are buried. Located just outside of Atlanta, Stone Mountain Park encompasses 3,200 acres of thick forests and natural vegetation, as well as world's largest piece of exposed granite, Stone Mountain. Standing over 1,686 feet (514 m) high, the mountain is famous for the enormous bas-relief carving on the north face depicting three important Confederate Army figures from the Civil War – Stonewall Jackson, Robert E. Lee and Jefferson Davis. The Park offers a wide variety of outdoor activities and adventures. Head to the top of the rock on The Summit Skyride, a high-speed Swiss cable car that offers spectacular passing views of the Confederate Memorial Carving, Atlanta’s skyline and the Appalachian Mountains from the summit. Other family-friendly attractions include The Stone Mountain Museum at Memorial Hall, Geyser Towers, Great Locomotive Chase Golf, and a Skyhike through the treetops. The College Football Hall of Fame and Chick-fil-A Fan Experience is a complete immersion into all things college football. Located in the heart of the city’s sports and entertainment district in downtown Atlanta, the state-of-the-art facility features engaging and interactive exhibits focused around football. 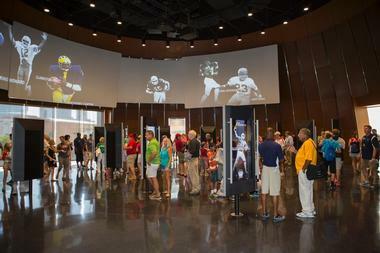 The College Football Hall of Fame’s “Fan Experience” allows fans and visitors to engage with their favorite Hall of Famer or college football team through a combination of traditional and authentic memorabilia and interactive, multi-media exhibits that capture the passion and energy of college football. Visitors can explore the Chick-fil-A Peach Bowl Skill Zone on a 45-yard replica football field, call a legendary play in the ‘Call the Play’ booth, or join famed presenters Desmond Howard and Chris Fowler at the ESPN College Game Day Desk. Legoland Discovery Center is a family-friendly adventure center featuring a variety of Lego-based attractions and models inspired by the famous toy building blocks. Owned by Merlin Entertainments, Legoland Discovery Centers are smaller versions of the widely popular Legoland theme parks. Aimed at children between the ages of 3 and 12, Legoland Discovery Center has an array of attractions and exhibits that will delight, such as the ‘Miniland’ attractions, small roller coasters and mini fortresses. The center also offers visitors a chance to learn how Lego bricks are made or take part in a variety of model building workshops and classes. Attractions at Legoland Discovery Center in Atlanta include Kingdom Quest Laser Ride, Lego Fire Academy, Merlin’s Apprentice Ride and the ever-popular Duplo village.